Drug or alcohol addiction is a contentious problem to tackle in films. A reason why perhaps Bollywood does not deal with this subject much. A recent exception, however, has been Anurag Kashyap’s Udhta Punjab but it added to the ongoing fireworks between Bollywood and Pehlaj Nihalani, the then chairperson of the Central Board of Film Certification due to the many cuts suggested. 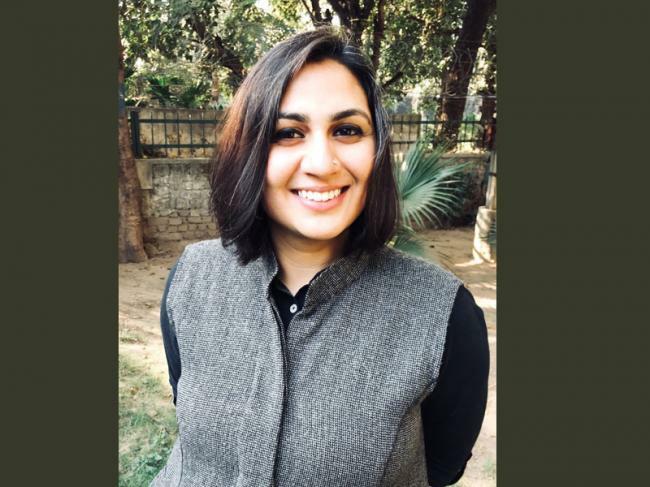 Shilpi Gulati, filmmaker and researcher, New Delhi, through her documentary Lock and Key looks at the subject of addiction among Punjab’s youth in a positive light focusing on rehabilitation of addicts instead of just chronicling the horrible consequences of drug addiction. while their wives too strive to redefine the meaning of love after the frustration and victimisation. The film happened at the invitation to Gulati by the Hermitage Rehab Home, Punjab, to collaborate on a film project. “I was born and brought up in Delhi and have no association with Punjab. As far as the film is concerned, I feel close to the subject because of the realities of addiction itself. It is a story of households- the physical and mental abuse every addict and his/her family goes through. In a way, I feel it’s a universal story and not limited to Punjab alone,” says Gulati. 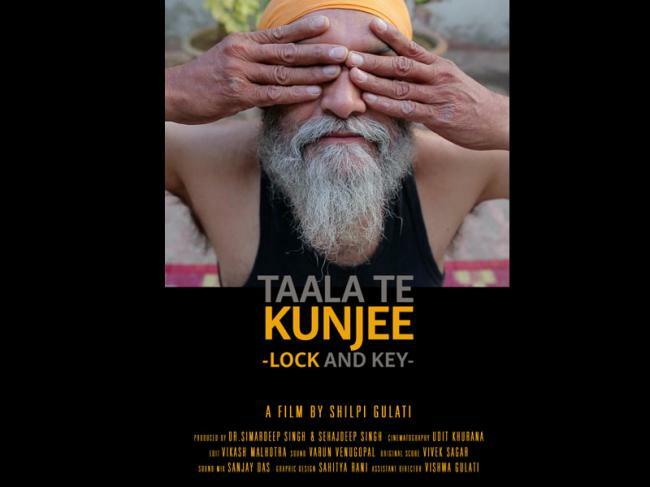 It opens with 57-year-old Jasbir Singh during his exercise regime and his wife narrating the story of living with him through 13 years of multiple drug abuse. “He now spends his time in gardening and physical exercise regularly,” says wife Amrit Singh Virk. The protagonists from the film come from a specific background. This is precisely the point of the film - to focus on the dark realities of a certain landed class of the society. The key to de-addiction lies in the counsellors being de-addicts themselves who speak from experience. Amandeep Pannu, 35, who was a drug addict for ten years is now conducting regular meetings with addicts in different stages of de-addiction in at the centre. In fact, it was a discovery of sorts for Gulati to find that in-the-process-of- recovery addicts were drawing from their own experiences to counsel others. She found four family counsellors – Nitin Gupta, Aman Pannu, Jasbir Singh and Tejinder Walia. Each of them was in a different stages of recovery and offered a new way of looking at life. “This made me decide that instead of confining the film to a single person, it would become more meaningful to explore the various nuances of recovery through multiple experiences,” she says. Lock and Key was meant to be a short film, but instead extended into an 82-minute chronicle of lives lost and regained. “After a while I was certain that a short film won’t do justice to the wide expanse of emotions that we were trying to capture, and that the non-fiction format would perhaps be right for the subject,” Gulati explains. During the course of her research, Gulati spent a lot of time at Hermitage with recovering addicts and their families. She met Gurpratap Singh (GPS) whose story of rehabilitation is amazing to say the least. The young man has become an inspiration and a mentor for several young boys at the rehab centre which the director found fascinating. Responding to what made her steer away from a linear narrative of the addicts into rehab by visiting each at home again and again throughout the film, Gulati says, “There is a moment in the film when 63 years old Satpal Kaur shows us her wedding album from the year 1977. She points to her favourite photograph where she is a young bride with tears all over her face. For the longest time I wondered why she chose to point this image out to me. 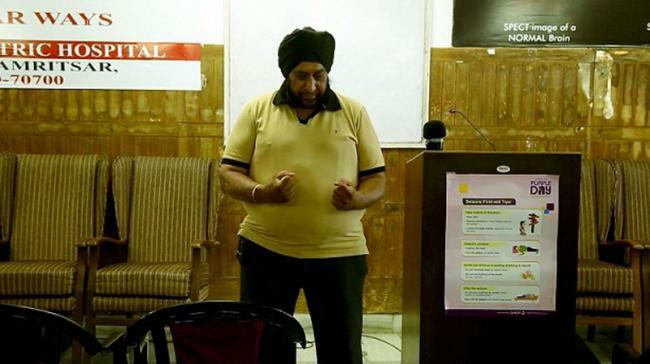 Tejinder Singh Walia, 63, her husband was an alcoholic for 27 years. She was disgusted with him because she had to run the family with three daughters and when he remained confined to his room for days, thought he had died. “In fact, I couldn’t reconcile with the fact that these extremely bold and confident women had chosen not to walk out of violent and abusive marriages. My ideas of feminism didn’t have the vocabulary to understand women who, for whatever reason, decided to stay on. “Today, he doesn’t miss a single meeting at the Hermitage. “Whatever we have lost, we have gained much more” Kaur says proudly. Gulati’s body of work largely engages with themes of gender, performance and oral traditions in India. Her last documentary ‘Qissa-e Parsi’ (2014) won the National Award for the Best Ethnographic Film and her other works, ‘Inside Out’ (2010), ‘Dere to Delhi’ (2012) and ‘Naach Bhikhari Naach’ (2018) have been screened at various festivals in Asia, Europe and the US. Shilpi is a Fulbright scholar and iscurrently pursuing her PhD at Jawaharlal Nehru University.